I’m so excited that October is here and that we can start putting up our Halloween decorations. Groupon has a fun offer today. 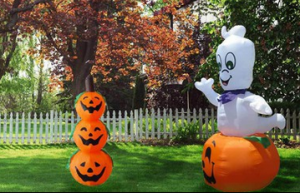 You can get these Halloween inflatables for up to 70% off regular retail prices! I bought the pumpkins for just $15! I did have to pay a shipping and handling fee of $3, but this was still a great deal for me and I can’t wait to get our inflatable! One of the things that we discussed last week in our Dave Ramsey Financial Peace University class last week was the importance of having a will. My husband and I have talked about it many times before, but we never got around to actually making one. 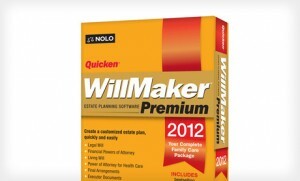 For a few more hours, you can get the Quicken Willmaker Premium 2012 software for just $15 shipped! It’s a $70 value! When I saw this deal I knew I had to grab it! A comprehensive software package lauded by the likes of USA Today and Fortune guides you through every step of the estate-planning process, from the formation of your will and health-care directives to the particulars of your final arrangements. Sort personal finances with dozens of preloaded documents, many of which are designed to impart key information to friends, family, and the executor of your estate. The premium package augments the intuitive software with supplemental e-books and audio CDs, as well as free access to Nolo’s online living trust. This online legal form allows you to name the beneficiaries who will inherit your property and secret recipe for homemade toothpaste. 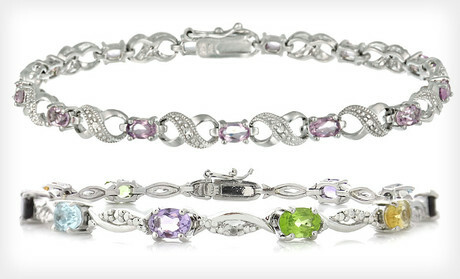 Groupon has some great deals on jewelry today! 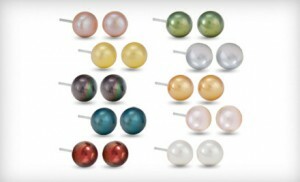 These would make great Christmas gifts or stocking stuffers! 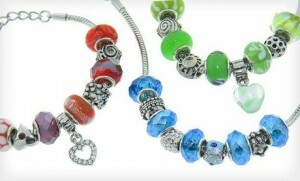 These Murano Bead Charm Bracelets would be perfect for teens or tweens and they’re just $19 (regularly $49). Then, click on the images or links below the pictures to grab these specific deals! Make sure you read the “fine print” for each offer because terms and conditions vary! If you know someone who loves to BBQ, right now Groupon has this Cuisinart 14 piece grilling set for just $25! The list price is $50 and the same set is priced at $32.29 on Amazon. You can also get a Cuisinart 4 piece grilling set for $15! 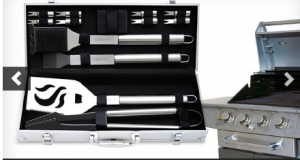 The Cuisinart Deluxe 14 Piece Grilling Tool Set includes all the necessary tools to make your grilling experience easy and convenient. This durable set of stainless steel tools includes a Chef’s Spatula, Grill Tongs, Silicone Basting Brush, Cleaning Brush, Extra Cleaning Brush Head and 4 Pairs of Corn Holders. Each tool is designed with elongated handles and a hanging ring for convenient placement during grilling time. When you are finished grilling, store the whole set in the durable aluminum case until the next time you grill. 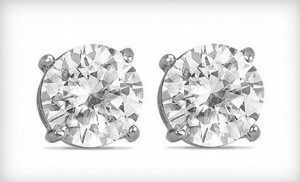 GROUPON: Diamond Candle for $15! 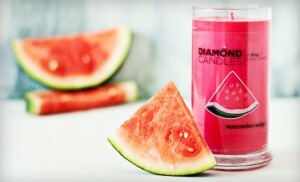 I’m SO excited to see another sale on Diamond Candles on Groupon! After seeing people post about Diamond Candles for days on Facebook, I finally gave in and had to see what all the “hype” was about. I bought one about a month ago and I love it! It smells great and to make it even more fun, there’s a ring inside EVERY candle! If you’ve been on the fence about ordering one, you won’t want to miss this deal! Groupon has a HOT offer right now where you can get Diamond candles for 50% off! Hurry and grab this deal for yourself and get one for a gift, too! These are very popular and will sell out quickly! Diamond Candles makes earth-friendly, all-natural soy candles with scents such as Lavendar Lemon, Cupcake, and Honeydew Melon. Each contains a ring – worth $10, $100, $1,000, or $5,000 – which will be revealed as the candle burns down. 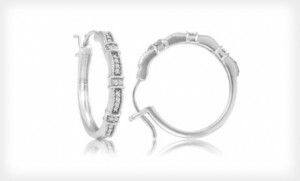 Treat yourself and a friend to a Diamond Candle… one or both of you may walk away with a high-value ring on your finger! Must use promotional value in one visit. Shipping is not included. If you’ve already purchased a Diamond Candle previously, what kind of ring did YOU get?